California Fuel Tax Increase - How Will it Affect Your Business? If you live in California, you’re probably well aware of how incredibly expensive gas is – second only to Hawaii in fuel costs. 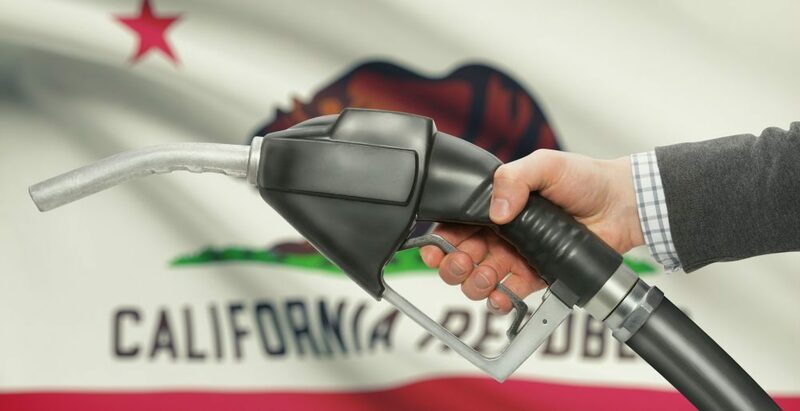 This year California business owners and consumers have found themselves gripped in a battle over a pending California fuel tax that will significantly raise the price of gasoline, diesel fuel and vehicle registration fees. The increase was proposed by Governor Jerry Brown in an effort to offset the cost of repairs for California’s highways and bridges, as well as the expansion of mass public transit systems such as a proposed bullet train slated to connect Los Angeles with San Francisco. With the possibility of this pending tax and the associated increase in the price of commodities, how will it impact your business and what are some ways that you can stay ahead of the curve financially? In this article we interviewed SC Fuels Tax Manager, Royd Baik about how the proposed excise tax will affect the market and your bottom line. On April 28th, 2017 California Governor Jerry Brown signed into law Senate Bill 1, commonly known as SB1 or the “Gas Tax.” SB1 proposed an additional $0.12 per gallon excise tax on gasoline, an additional $0.20 per gallon on diesel, up to $175 more in vehicle registration fees and a 4% increase on diesel sales tax. The California fuel tax bill passed with a ? majority ruling, but has been met with significant controversy by many Californians, believing that the bill was drafted behind closed doors without the input of voters and the public. The Governor signed Senate Bill (SB) 1 (Stats. 2017, Ch. 5), The Road Repair and Accountability Act of 2017, which increases the excise tax rates on motor vehicle fuel (MVF) and diesel fuel, and the sales and use tax rate on retail sales of diesel fuel effective November 1, 2017. In addition to the fuel tax rate increase, retailers, wholesalers, and suppliers who hold in inventory tax paid MVF or diesel fuel on November 1, 2017, at 12:01 a.m., will need to file a storage tax return and pay a storage tax. The storage tax return and payment is due no later than January 1, 2018. On May 3rd, 2017, Assemblyman Travis Allen from Huntington Beach, CA introduced a voter initiative to repeal the California fuel tax, stating that it will make California’s already exorbitant gas prices even more excessive. To successfully repeal SB1, 365,880 signatures are required from registered California voters to qualify for a spot on the November 2018 ballot. Without the signatures, SB1 will become operational as a law on November 1st, 2017. If enough signatures are acquired, the bill goes to voter approval in November 2018, where public input will be required for its implementation. Most Californians wouldn’t argue the idea that the state’s infrastructure and roadways require maintenance, but it was the political approach that has many voters feeling slighted, along with the management, or rather, mismanagement of previous excise tax revenue, which was appropriated for projects other than its original plan. Excise tax and sales tax exemptions generally apply to state and governmental organizations. Exemptions are also available for businesses in the agricultural sector, who qualify to purchase fuel and lubricants at a reduced tax rate. Additional tax exemptions are also available based on specific use of products. Regardless of your industry, an SCL representative can help your business assess cost savings strategies to help you weather the pending tax increase and related rise in commodity expenses. Whenever a new tax kicks in, suppliers in the industry have to pay a floor tax where they calculate their inventory and pay back taxes on it. As soon as the new law goes into effect, a business is not only paying the new rate, but also the difference, which prevents them from buying a surplus of fuel to stockpile at that lower rate and then sell at a higher price later. By speaking with an SCL representative you can assess your inventory needs, learn how to consolidate your inventory, monitor inventory electronically or switch to products that are usable across multiple applications. Regardless of whether SB1 goes through successfully this November or if it is added to the ballot in November of 2018, fuel prices will likely continue to rise, so staying ahead of the curve will allow your business to better weather the highs and lows of the market.